Wet Fly Ash Grinding Machine offered is backed by latest technology support and modern production techniques which provides in these fly ash grinding system optimum performance support as desired by the customers. Coming with specially made blades for longer operations and power options of 7.5 HP, the system can deliver unlimited production capacity with option of conveyer system support fitted for convenient conveying and discharge of row materials. 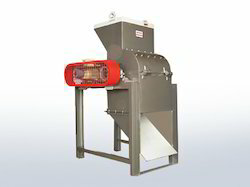 Looking for Wet Fly Ash Grinding Machine ?